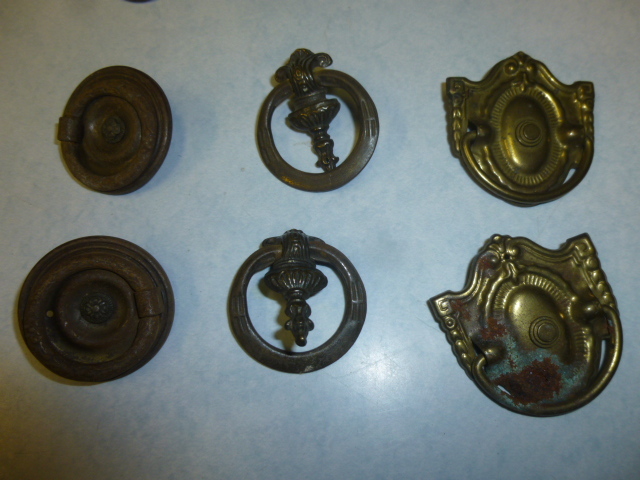 I almost never GO shopping for finishing pieces for a project right when I need them; knobs, handles, embellishments . . stuff like that. Mostly because I don’t always KNOW what I need (WANT!) until I get TO the point of needing them. So, I like to keep a bit of a ‘stash of options’ on hand. Always on the look-out for that kind of thing ‘at the right price’ to add to my inventory. Then when I need them, I just rummage through what I have until inspiration strikes! Found these on etsy. Not necessarily one of my ‘boast-able bargain finds’, but they will provide a good ‘bang for the buck’ when I have just the right pieces to use them on. When searching for stuff like this, you want to look for them in ‘LOTS’. Buying a lot of them as a group will always garner you a better price. Most of these did NOT have their original screws, so it will take some ‘trial and error’ to find the right ones but that’s what you get for ‘this price’. 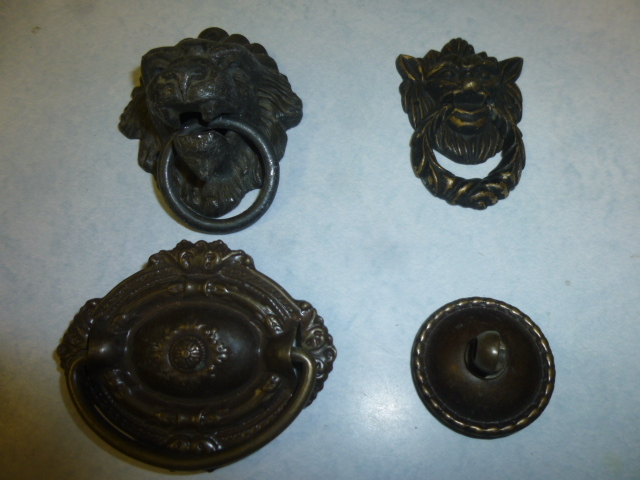 If you want PERFECT ones with hardware, you can go to Restoration Hardware and pay $20.00 a piece! I just brought home a desk with drawers on BOTH sides, that I am going to have Michael ‘chop in half’ to turn into two night stands. 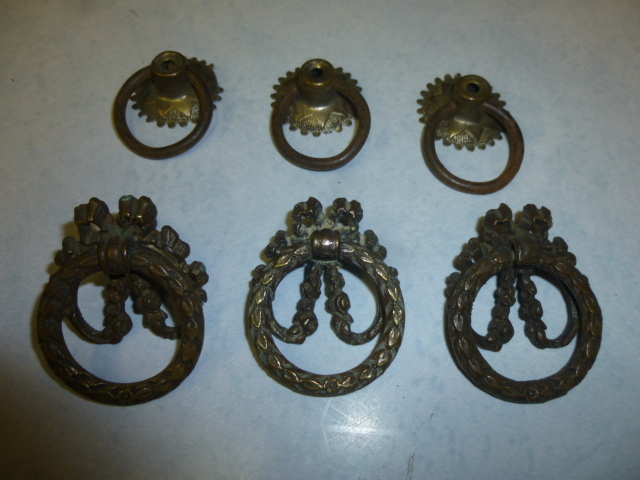 Hoping I can use some of these drawer pulls on them. Unique drawer pulls can really MAKE the piece. I’m so glad that it’s now ‘trendy’ to NOT have everything perfectly ‘matchy matchy’; and I can mix these unique pulls with some simpler ones that I already have on hand.